Like a well-established brand, the Millhouse Kaitan sushi bar in Slovanský dům stands out amidst growing competition with its modern concept. Quidong Heng, a native of Shensi, China, came to Czechoslovakia in 1992 to work for an American company, but in 1993 he went into business for himself. “I was convinced that this country had a good future,” Heng says. He focused on imports of Asian foodstuffs, and at first he gave no thought to his own restaurant. “At that time in Prague, people ate traditional fare, and gastronomy wasn’t a good business,” says Heng, explaining why he didn’t want to open a restaurant. But as time passed, Prague became more cosmopolitan and a taste for foreign flavors developed. Heng got the impression that it was the right time to offer locals the best of Asian cuisine – sushi. And he was right. 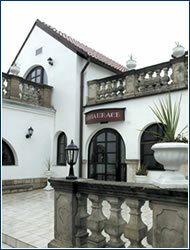 In 2001 he opened a restaurant, the Millhouse Kaitan sushi bar, in the newly refurbished Slovanský dům. It became popular relatively quickly and soon had a regular clientele. “We were fortunate – we were in the right place at the right time,” says Heng, acknowledging that since not everyone saw the attraction of raw fish immediately, he had to educate customers first. “We offered cooked fish to customers who didn’t like it raw,” Heng recalls. His method of gradually acquainting customers with sushi worked, and several reluctant first-comers have now become steady guests and sushi fans. But the initial distrust was confined mainly to Czech customers, while foreigners easily found their way around a concept they knew from other countries. The idea of conveyor-belt service is very popular in Japan and many parts of Asia, as well as in the US, and Great Britain. The system is basically a fast food form: the chef constantly prepares various types of sushi and puts the plates on a conveyor belt that runs along the middle of the bar. Guests can choose what they want from the prepared dishes without having to wait for orders – ideal for diners who are pressed for time. Traditional Japanese simplicity is apparent at Millhouse at first glance. The interior can be briefly described as clean and simple, but it definitely isn’t cold and sterile. A blue and white color combination is supplemented by the greenery of live plants, and elegant marble alternates with no less elegant light wood. During the day, ample light comes in through a glass wall, through which you can watch the pulsing life of the commercial complex, while in the evening the bar is illuminated by dimmed spot lights. Heng’s wife created the design and the menu. Although she isn’t a professional chef, as Heng says, they have both always liked to eat well, so their tastes are cultivated. “Often it’s better to eat more than to cook more, as it’s a cumulative experience,” he claims. “We never serve our customers anything we don’t like ourselves.” Heng admits that the hardest thing was preparation. There aren’t many good Japanese chefs here, so the best solution was to bring one from China. “We also tried to train Czech cooks, but without success – they weren’t patient enough,” the owner says. Heng is now enduring red tape again to get a visa for a chef to open another of his establishments, a Cantonese-style Chinese restaurant. The Millhouse menu offers all that can be expected by sushi aficionados – classic nigiri, maki and temaki sushi, sashimi, tempura salads, and soba noodles. There’s also grilled fish like salmon, tuna, or cod, which is said to be especially fine. 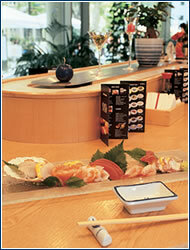 Heng says unagi maki (with eel), maguro temaki sushi (tuna roll), and the California roll are the most popular dishes. Portions are large, with prices perhaps just a bit higher than in other sushi restaurants. The beverage and wine lists aren’t very extensive, with traditional Japanese sake and plum wine supplemented only by basic Czech wines and a few French wines (although Mo¨et & Chandon Champagne is available). While Millhouse Kaitan isn’t a place where you’ll probably want to linger, you’ll definitely want to return when you crave fast and fresh sushi. POPULAR with hungry clientele from the nearby PwC offices, this small, cozy venue has been fulfilling the need for good Tex-Mex in Prague 2 for nearly three years. Established and run by American Aran Halvorsen, Banditos has a large and varied menu offering tasty items like shark tacos, more than a dozen types of burgers, fresh and filling salads, ribs, wings, and an all-day breakfast. What’s more, the staff is hip and amiable, from the chef to the smiling servers that bring cold glasses of Budvar to your table. Mikulov has become one of the most attractive towns in the Czech Republic for tourists. Its great location, within sight of the Austrian border, the beautiful Pálava just beyond the town’s fortifications, many historical landmarks, and excellent local wine – these are things that every traveler appreciates. And if he gets a guaranteed tip as to where to go for good food, he has it made. 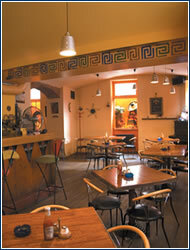 One of the successful restaurants is U Svatého Urbana. 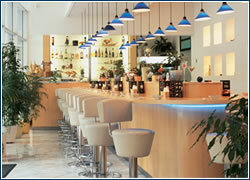 In a carefully rebuilt old estate, there is a hospitable restaurant and a pension. In fine weather you can sit on the terrace, and when it’s chilly you can dine in the cozy cellar. The cuisine is accompanied by high-quality local wines, of which the whites are mainly worth tasting. St. Urban, whose name is on the Urbáneks coat-of-arms, is the patron saint of vintners. Much-requested dishes like roast joints of pork, marinated ribs, duck, and goose are outstanding, but guests who like international cuisine, including seafood and snails, will also be pleased. “Among the restaurants I recently discovered I have had very good experience with Le Terroir at Vejvodova in the Old Town, which you enter from Jilská street. I ordered a hare, because I particularly like game. It was delicious, served with cabbage and a mild sauce made of dried apricots.